The Baltic is one of the most polluted seas in the world. There’s litter strewn along many of the beaches on Latvia’s Baltic coast, and waste from industry and agriculture seep into the water. But despite the pollution problem, local environmentalist Uldis Mors is determined to remind people of the beauty of the 500 kilometer shore. The 25-year-old has organized a special group expedition along the stretch of coast as part of a campaign called “Mana jūra,” or “My Sea” in English. 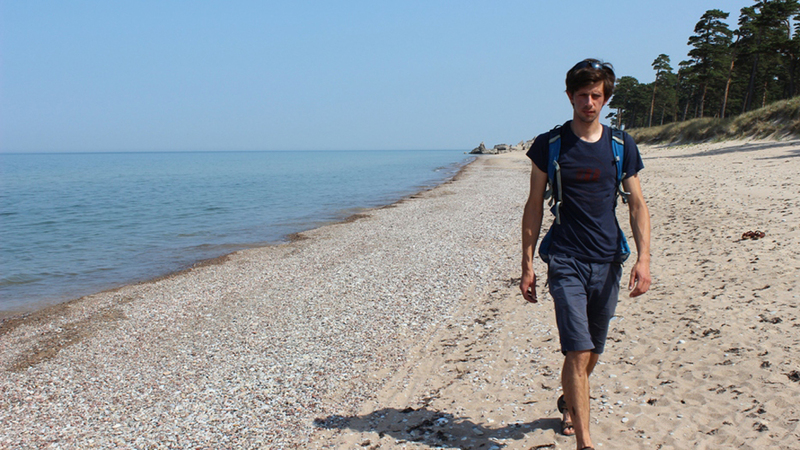 He’s hoping the trek will raise awareness about the fragile ecosystem, and persuade participants the shore is worth protecting. 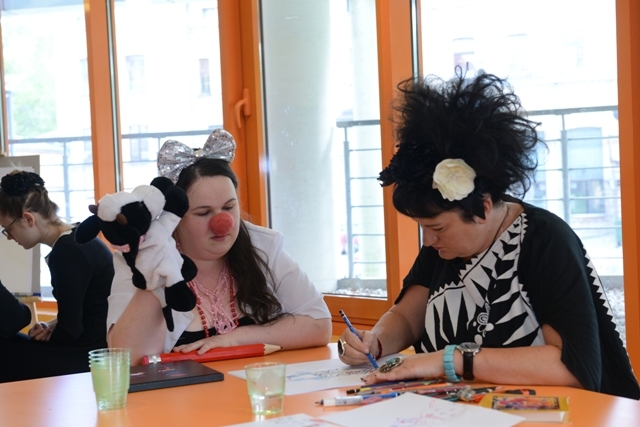 Anete Baskevica, 22, dresses up as a clown – but not to perform at the circus. Instead she heads to a local children’s hospital where she volunteers her time with kids who are ill. Laughter, she says, is the very best medicine of all. 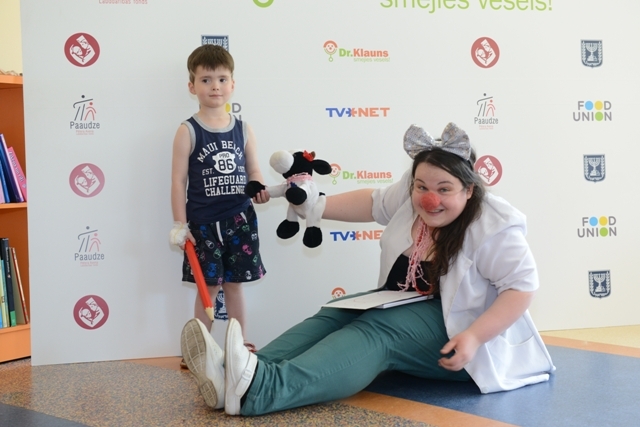 She’s part of a Latvian organization of clowns who have just launched their hospital visits this month (July). They all wear different costumes, but have one very important thing in common: a big red nose. Find more pictures on Anete’s blog. 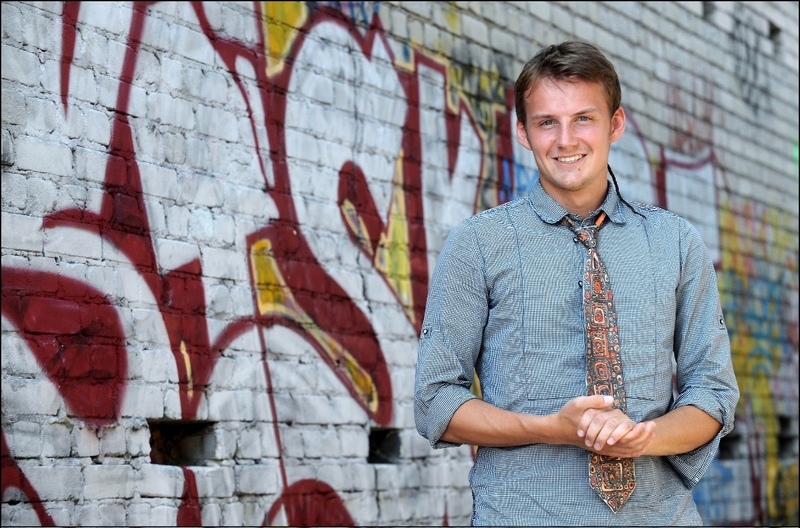 Kristofs, 23, from Riga wanted to get his fellow citizens more involved in politics. He launched a unique website that allows for digital petitions – and it’s been an immediate success. For us Latvians, politics is usually something that seems to be very distant. We are more or less like outsiders and, God forbid, if you’re involved into politics in some way or another, you will likely hear: “There’s no dirtier business than that!” And if somebody happens to be connected with politics, then they will be men and women at least in their late thirties, forties or older. That’s why I was really surprised when I met Kristofs Blaus at his rather small, but light, cosy and somewhat trendy office near the port of Riga – a 15-minute walk from the old town. I didn’t find a serious, middle-aged man wearing a pin-striped suit and holding a leather suitcase standing in front of me. There was a young 23-year-old in a casual outfit and with an unusual hairstyle. He kind of embodies the great difference between the older generation of Latvians, which experienced the Soviet era and those kids who grew up in the country during the last two decades. He speaks English fluently; he’s an Internet-dweller and speaks his mind openly. And that’s not all – he really seems to care about his debt-ridden country’s future and is willing to do something about it. I guess that many of his peers think similarly and that’s why his website Manabalss.lv isn’t just a project which happens to be in the right place at the right time. It’s that the tide is slowly turning on what the young Latvians think about participation in political events and during the interview I felt that Kristofs is a clear example of it. Of course, Kristofs is just one of the 700,000 inhabitants of Riga and the word “politics” is on everyone’s lips ahead of the general election on September 17. But as long as Kristofs doesn’t give up his enthusiasm for developing the website, I believe that there will be more and more Latvians willing to bring about some positive change in their country. Here is Kristofs’ website manabalss.lv. And here is his personal blog. 52 Projects A Canadian proves sustainable living is possible by making one new thing a week for a year. Africare Africare’s programs focus on four principal interrelated areas: Food Security, Water, Health, and Emergency Response. Amnesty International's Youth and Student program AI is a global movement committed to defending those who are denied justice or freedom. Be the Cause Be the Cause is a Network of individuals who not only wish to make a difference in the world, but also wish to change their own lives in the process. Drugs for Neglected Diseases Initiative DNDi is a collaborative, patients’ needs-driven, non-profit drug research and development organization that is developing new treatments for neglected diseases. envision Young people making a difference. European Youth Forum For the rights of youth. Futuro Si Initiative for children in Latin America. Global Fund for Women Promoting women’s economic security, health, education and leadership. Global Youth Connect Empowering youth to advance human rights and create a more just world. Hedwig and Robert Samuel Foundation The Hedwig and Robert Samuel Foundation is a non-profit organization which supports socially deprived children and youths in the areas of education and vocational training in Central America and Asia. Internation Citizen Service (Facebook page) ICS, launched by the UK government, is a global volunteering experience which supports young people from all backgrounds to make a real difference to some of the world’s poorest people. International Peace Institute Promoting the prevention and settlement of conflict. John Dau Foundation The John Dau Foundation is fulfilling the dream of Lost Boy and genocide survivor John Dau to provide healthcare in the war-torn region of South Sudan by building and sustaining medical clinics and training community health workers. Nano Control Nano-Control has got involved with healthy indoor air as well as research and elimination of the risks and helps people harmed. PCI – Positive Community Impact PCI is a nonprofit health and humanitarian aid organization dedicated to preventing disease, improving community health, and promoting sustainable development worldwide. Singing for Change Fabian and Viv want to raise money for charities all over the world by taking singing challenges from donors. Taking IT Global The largest online community of youth interested in global issues and creating positive change. The Art of Non-Conformity Unconventional strategies for life, work, and travel. The Free Child Project The mission of The Freechild Project is to advocate, inform, and celebrate social change led by and with young people around the world, especially those who have been historically denied the right to participate. Turtle Foundation blog Volunteers on Cape Verde protect endangered giant sea turtles. What Kids Can Do Voices and work from the next generation. YouthNet Celebrating 16 years of supporting young people online.